From historic downtown Zionsville, drive north on Main Street then west on Mulberry Street through well kept residential homes and you’ll find yourself taking a short drive to the one public high school in the community. Despite the smallness of this quaint village, Zionsville Community High School is not to be dismissed as just another small town high school. ZCHS has amassed a substantial academic reputation for it’s students, alumni and community. And it didn’t happen overnight even though the recognition for its students is relatively new. 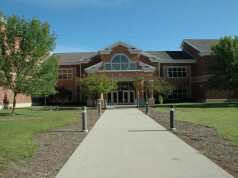 Zionsville High School was established in 1885, a mere 33 years after the town was established along the new railroad line from Indianapolis to Lafayette. 1888 witnessed the the first graduating class and at that time the high school was located in a schoolhouse built in 1867 on Walnut Hill. In 1911 a new school was constructed for the community’s high school purposes at Walnut and North Streets and commissioned as Eagle Township High School. The school remained in this location through additions and changes until 1968 when the first structure of the current building was built on Whitestown Road. 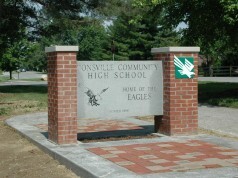 In 1970 the high school was renamed Zionsville Community High School with the merger of Eagle and Union township schools forming Eagle-Union Community School Corporation, now Zionsville Community Schools. 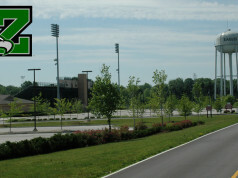 The current high school is a sprawling, well appointed campus with many additions through the last 30 years; library expansion (mid 1990s), new varsity gym (1998), new performing arts center (2003), freshman center and aquatics center (2005), multi-purpose stadium (2010) and new baseball fields and soccer practice fields (2011). While this physical transformation was happening the commitment to academic achievement did not wain. On the high school’s website Awards page is an impressive list of academic recognitions. One of the awards of note is that ZCHS has one of the highest GQE (Graduation Qualifying Exam) scores in the state. Meaning, students who graduate, beginning with the class of 2012, must meet the requirements of the state’s GQE in order to graduate. Students must take and pass the ISTEP+ Algebra 1 Graduation Examination and English 10 Graduation Examination. These graduation exams are end-of-course assessments (ECAs). Students are also required to participate in the Biology 1 ECA, but it is not part of the graduation requirement. While statewide academic achievement is to be admired, ZCHS has earned national recognition and ranks among some of the best high schools in our country. 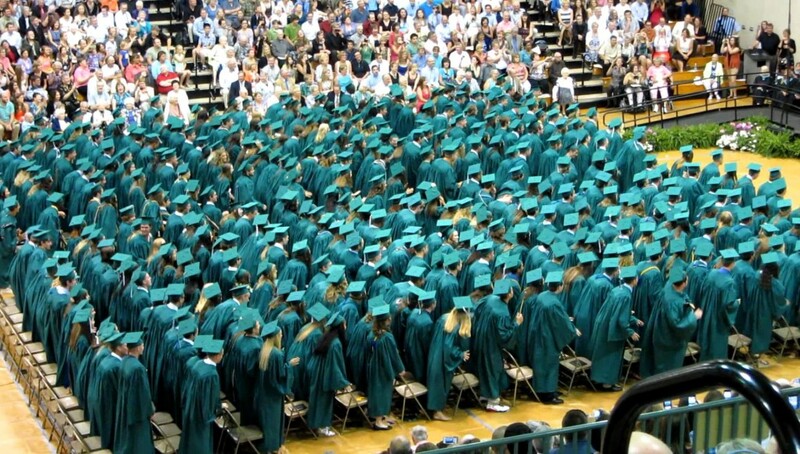 In 2013 ZCHS was recognized in the Washington Post as one of America’s Most Challenging High Schools with a rank of 516. The high school was ranked again in 2014 at 562. Part of this ranking is determined by the E&E% (Equity and Excellence Rate). This is a calculation used by Washington Post Challenge Index. The rate is the percentage of all graduation seniors who had at least one score on an advanced-level test. The average rate for most US schools is about 15%. Zionsville’s E&E% in 2013 and 2014 was 57.90% and 58.40%, respectively. To read more about the list or the full methodology of the ranking, click here. 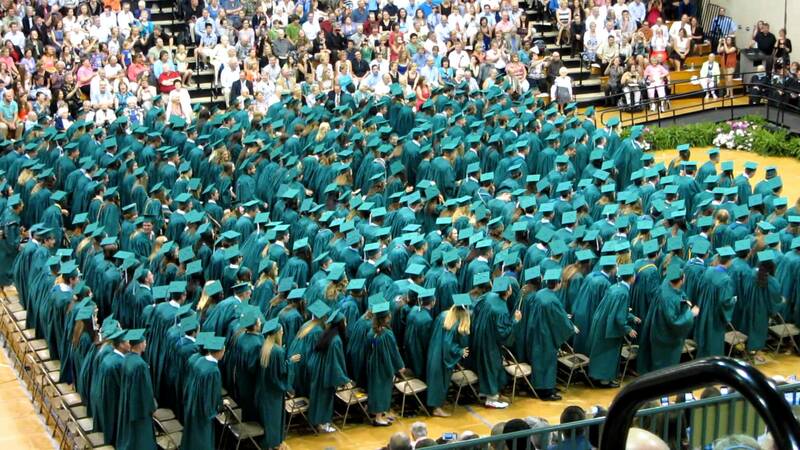 Zionsville Community High School earned an overall College Readiness Score of 84.89 resulting in a ranking of number 231 on the list. In addition, ZCHS was recognized as a school where low-income students are scoring at or above average on state assessments. Clearly Zionsville Community High School has a reputation for tremendous achievement birthed from a community that has been proud of its education from the very beginning. Born out of the work ethic and pride of the pioneers that first settled and then established Zionsville, the students of ZCHS continue to pursue excellence upon their founders’ shoulders. Oh Zionsville, we’re all for you!